Do you want a window cleaning company who is committed to achieving high standards of Health & Safety practices and are dedicated to offering their customers an excellent service? Then you are looking in the right place! 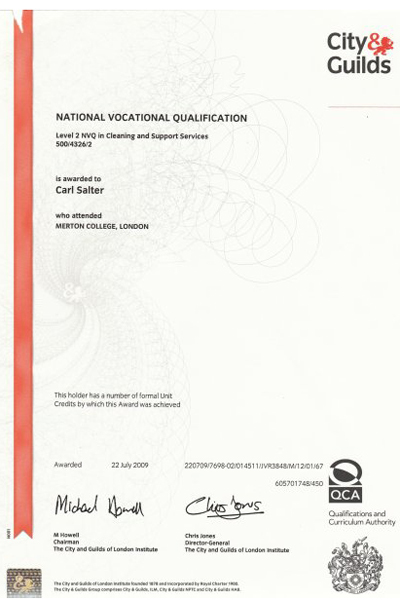 Salter Cleaning has achieved accreditation from the National Britannia Groups, SAFEContractor Scheme. We have undergone a strict vetting process, which has examined our Health & Safety procedures and our track record for safe practices. Our Health & Safety Director has gained a qualification in the coveted NEBOSH (National Examination Board in Occupational Safety & Health) General Certificate Examination. Therefore, this means that by choosing us as your window cleaners, you have the confidence that you have selected a company that fully complies with the Health & Safety regulations that govern the window cleaning industry and also assists your compliance of using competent window cleaners. If you are a Large Cleaning company and wish to Sub-contract your window cleaning contracts, you can be confident that you are using an accredited SAFE Contractor, and this will minimise your vetting procedure. We pride ourselves in providing our clients with a personal, dedicated service. At any time you may contact one of the Directors personally to discuss any queries that may arise with our window cleaning service to you. We provide clients with a reliable and competitive window cleaning service and by meeting our clients' objectives we obtain maximum customer satisfaction. "Excellent window cleaning results in Total Safety"